Come and show solidarity with refugees around the world and people fleeing persecution who will be homeless and hungry in Greater Manchester this winter. The people of Greater Manchester have come out in force to say it loud and proud: Refugees Are Welcome Here!! Now we’re calling on you to make sure people who’ve come here in search of safety receive a warm welcome. Shamefully, many people who come in search of safety are let down by the Home Office and end up hungry and homeless on our streets. It’s time to end the destitution of refugees and people seeking asylum!! 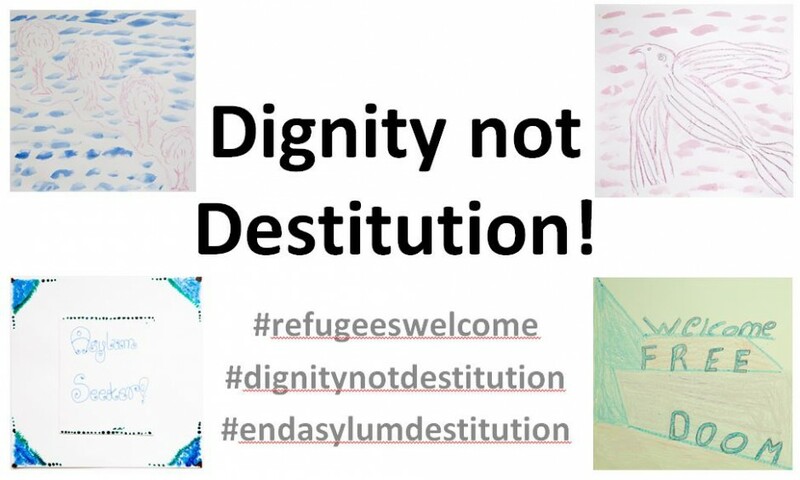 Join us to call for Dignity not Destitution!! Come and hear what you can do to help refugees and people seeking asylum in Greater Manchester. We’ll be collecting donations of food, warm clothes and toiletries for local destitution projects. Click here for a list of items needed. See the attached flyer: Dignity not Destitution rally and vigil poster – 12.11.15. For any questions about the action, email: unitedforchange01@gmail.com. This action is led by United for Change with support from Pod Collective, Boaz Trust, Manchester City of Sanctuary and Regional Asylum Activism.